Includes Haegemonia: The Solon Heritage. Retail requires base game; digital distribution version is a standalone title. 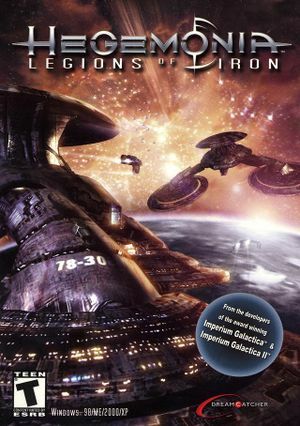 Use the Haegemonia: Legions of Iron intro skip. Deleting the files also works but causes error messages in-game. Must be performed each time you launch the game - resets when viewing options menu. 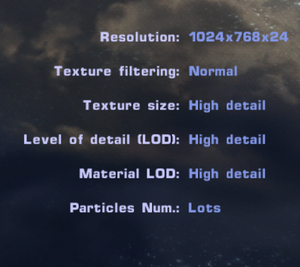 Install the Hegemonia: Legions of Iron Modding Tools. Go to Inf_files_uncrypted\Inf in the Modding Tools folder. Copy program.inf to Inf in the installation folder, replacing the existing file when prompted. Change English to your language if you were not playing in English. Set SkipStartScreen to 0 to disable the automatic mission loading. Save your changes and close the file. The game will now run in a window. Change FullScreen to 1 for fullscreen mode. Use ShortcutEditor.exe in the installation folder. 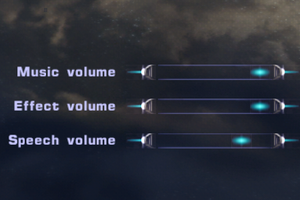 In the options menu, set all audio sliders to zero. ↑ 2.0 2.1 File/folder structure within this directory reflects the path(s) listed for Windows and/or Steam game data (use Wine regedit to access Windows registry paths). Games with Steam Cloud support may store data in ~/.steam/steam/userdata/<user-id>/294770/ in addition to or instead of this directory. The app ID (294770) may differ in some cases. Treat backslashes as forward slashes. See the glossary page for details.